This is the first photograph in a Santa Monica Pier surprise marriage proposal photography series. When photographing weddings, proposals and other events, Embrace Life Photography likes to capture establishing shots to give a sense of place. 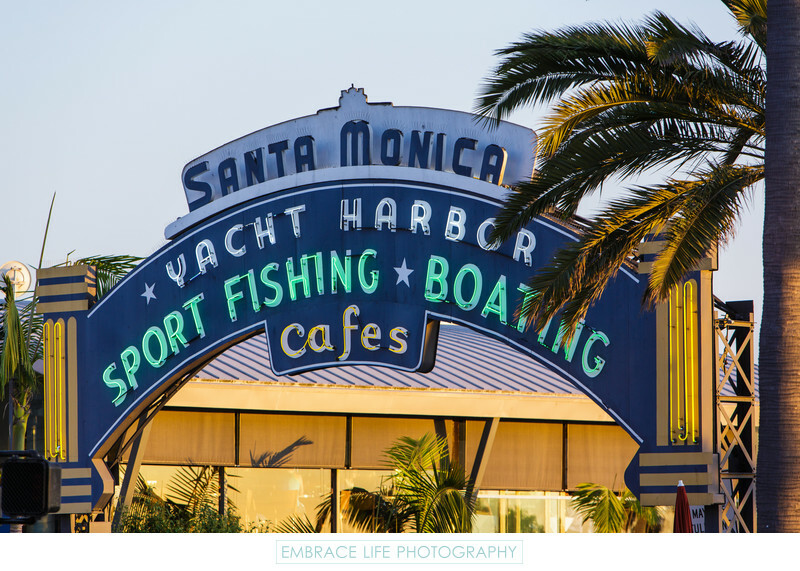 The neon signage, glowing in the warm light of sunset, at the intersection of Colorado Ave and Ocean Ave, marks the entrance to the Santa Monica pier and beach. The sign reads, "yacht harbor, sport fishing, boating, cafes".